The Airplane Repo crew are back for another season as they continue to scour the ends of the earth to hunt down and recover high-value toxic assets from the nation's wealthiest "1%." This season will dig deep into the minds of these high-flying daredevils to find out what makes them tick. Is it greed? Pride? Justice? Or just pure, unadulterated thrill-seeking? Find out on Fridays at 10/9c during an all-new season of Airplane Repo on Discovery! Returning for the second season is the dynamic duo of Ken Cage and Danny Thompson, who have over 1,500 repossessions between the two of them. Thrill-seeker and ace pilot Mike Kennedy - the James Bond daredevil who pushes his body and his luck to the limit to capture his target, and his conservative counterpart, "cowboy of the sky" Kevin Lacey also return for season two. Lacey also has a new weapon in his arsenal -- a fresh female perspective coming from his young apprentice, Heather Sterzick. A stunt pilot with a military background, Heather is eager to learn, but as the challenges become more complex and the heists harder and harder to pull off, will she be able to prove she has what it takes to hunt alongside the best? The repo world is small, and in this cutthroat business it will take more than just luck and a few tricks to separate the rich from their toys. One wrong move can spell disaster. 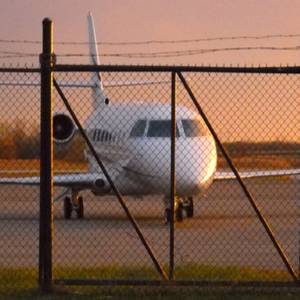 In each episode of Airplane Repo, these experts are hired by banks to repossess high-end and enormous luxury assets from wealthy individuals behind on their payments. From violent altercations with owners and potential incarceration, to the dangers of flying unfamiliar and possibly damaged planes, the Airplane Repo men -- and women -- put their lives on the line to get these luxurious mechanical giants back where they belong. These high-flying daredevils have the cool tools, experience and the cunning to outsmart bankrupt billionaires on the run - but with more obstacles than ever, will they be able to stay afloat in this risky business?